Many people emailed me with requests on deals for London. London is crazy expensive during the summer as so many tourists are sightseeing and on many occasions it is not even pleasant due to all the queues. Having said that I am planning a trip to London and looking for some friends too. This deal is excellent value for those who want to visit many museums and historical sights in London. My best advice will be to make a list of all the places you want to visit, check the prices for each site individually and see if it makes sense financially for you. Also think whether you will be able to cover all the things you want in a day or you will need to buy an extra pass day as this can be more expensive. 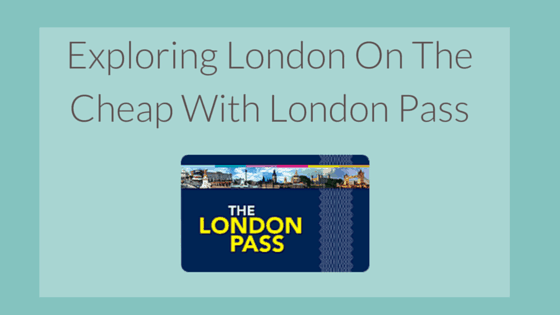 One disadvantage I found with the London pass is that the most popular two sights in London are not included the London Eye and Madame Tussaud, so if you want to visit these two attractions you will have to pay extra. What are your summer plans? Let me know below and share some nice places to visit, I am always looking for inspiration. Tip for saving on the london eye: buy your tricket online in advance! Saves a fair amount – especially for a larger family! Excellent point Ben thanks will add it in!